Mostly unreadable. Painted in black on a white painted background. His name is just discernable as is his number and date of his death. Cross is outside and deteriorating. This is a natively constructed cross. He does not appear to have a CWGC headstone possibly because he is buried in a plot with his parents and shares their headstone too. He died of his wounds on 7 July 1915. He was 18. 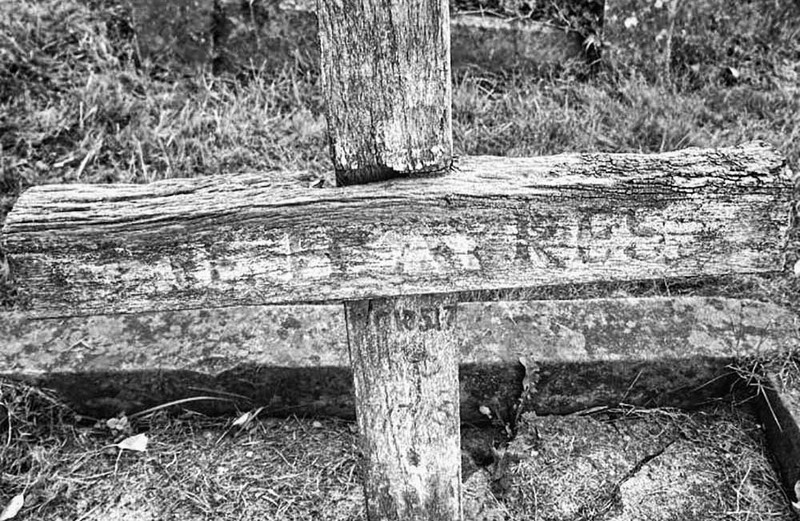 He was the son of Solomon and Emma Ayres, The Square, Bloxham. He is apparently buried in the churchyard. He Enlisted August 1914. Harry was severely wounded in an action in early July, not long after the 5th Ox and Bucks left for the Western Front, His mother Emma visited him in France and was appalled by how terrible the conditions were, he was brought back to England, he died on his birthday. It would appear Harry was a servant at Bloxham School as was his father. Thansk to Matt Dixon and Simon Batten. Thanks for doing this, and for the credit. Is it worth seeing if we could get the cross put inside the church ? I have been in touch with relatives about it. Yes, I take your point. Thanks for clearing up which hospital he was in when he died – the family thought it was Netley. A very sad story. The photograph we have of him shows him in uniform and with his bugle, but no cap badge, such was his hurry to get his photograph taken the first chance he had. I think that would good Simon. I’m working with a vicar at the moment to have a badly deteriorating cross member, all that is left of the cross brought into the church, so as not to be lost entirely. I understand your thoughts though Nick. 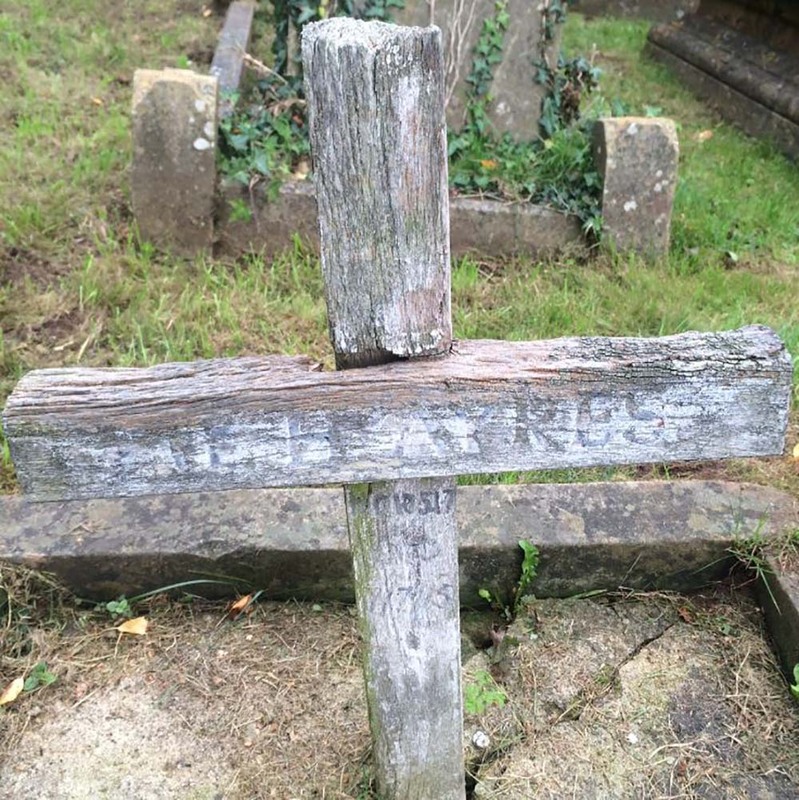 We have another we’ve found in Gloucestershire that is hopefully being rescued, it is in a particularly poor state and serves no purpose outside whereas this is a grave marker for his actual plot. There is a precedent for it either way, one protects the integrity of the cross, the other protects the integrity of the site historically. If any are moved, it’s probably advisable to record the process in some way, so it becomes part of the researchable history of the object and site. Regarding the uniform, it wasn’t uncommon for photographers at the time to have uniforms as props. Many lads who had just signed up would rush out almost immediately to get a photo taken. Sometimes you can tell. It’s a rather nice photo of him I have to say.